No need to compromise your dream home wish list with this practically new FOUR BEDROOMS , THREE FULL BATHROOMS, 3 CAR GARAGE, POOL AND HOT SPA on a LARGE LAKE facing SOUTH. In addition the home is being sold fully furnished and turnkey.The pool and spa are Saltwater and heated situated in the middle of a large lake with stunning views. 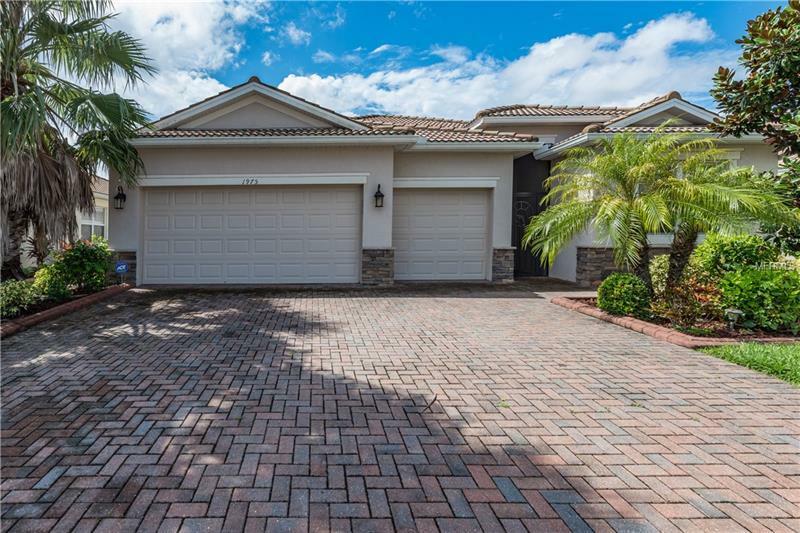 There are numerous upgrades to this home such as crown molding a fully functional alarm system, huge lanai and many others. Stoneybrook at Venice is a deed-restricted, gated community with amenities such as lagoon pool, spa & kid's splash fountain, tennis, sand volleyball, basketball court, exercise facility, library, in-line skating & hockey rink, gazebo with community cookout area, community center, & a calendar full of activities & events all year for all ages. The community is located minutes to I75 & points north & south, shopping, restaurants, health centers, downtown Venice, theater, beaches, boating & so much more!